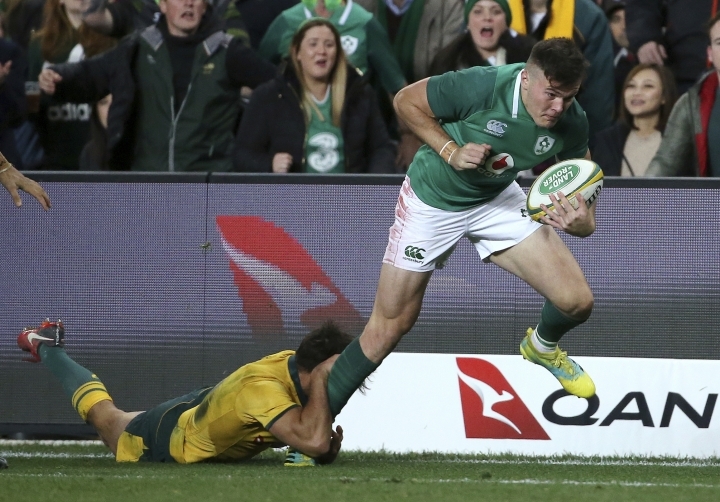 SYDNEY — Six Nations rugby champions Ireland capped an outstanding season with a contentious 20-16 win Saturday over Australia to clinch the three-test series 2-1. 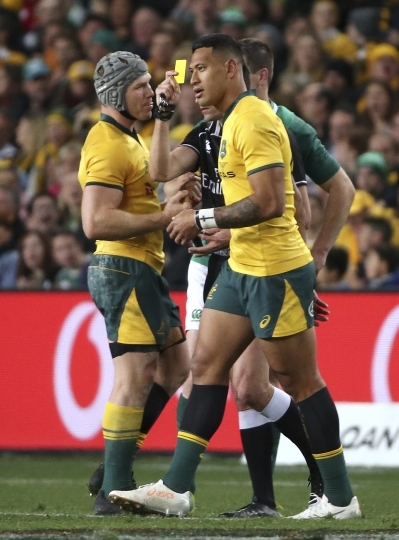 A ground-record 44,085 fans at Sydney Football Stadium watched as Johnny Sexton kicked his fifth penalty goal of the evening to clinch the match with two minutes to go. 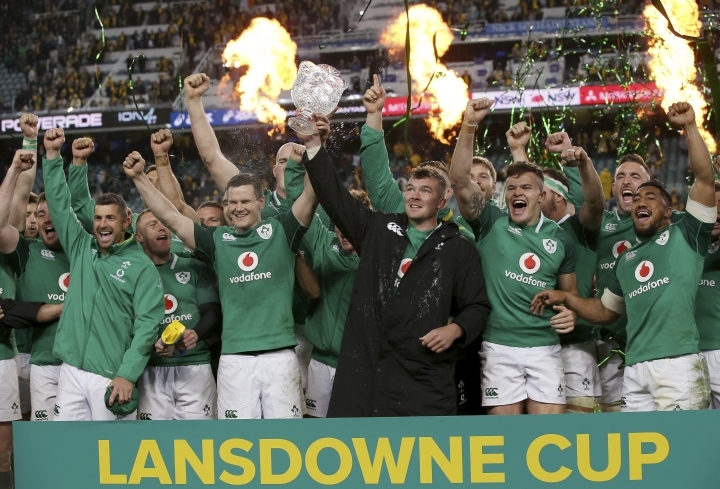 It was Ireland's first series win in Australia since 1979. French referee Pascal Gauzere was at the center of a number of controversial decisions, including the decisive match-ending call. 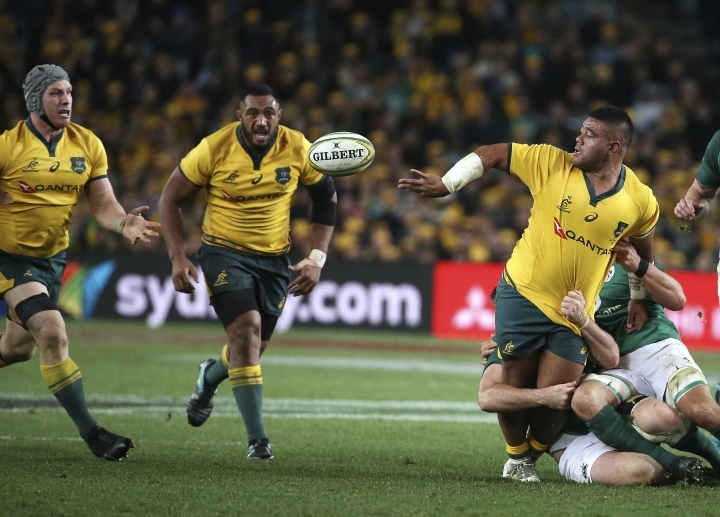 Trailing by four points in the 80th minute after Tolu Latu was penalized for not releasing and Sexton added another penalty, the Wallabies — needing a try to win — regained the kick restart. 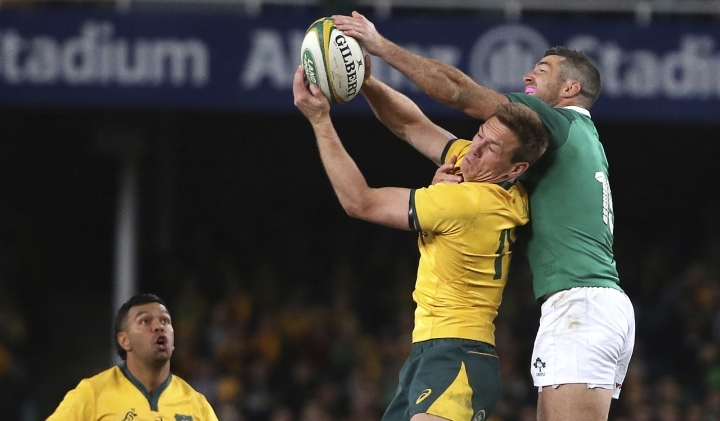 With space out wide, the Wallabies spread the ball out to the right, but Bernard Foley's offload failed to find his target and went into touch. But appeals for a deliberate knockdown saw Gauzere send the play to his video match official — Australian George Ayoub — who after several minutes deemed video footage inconclusive, and the match ended.